I chose herringbone stitch to make my June piece for the Bead Journal Project and found that it is really well-adapted to making stylized floral shapes. I'm starting to really enjoy geometrics! 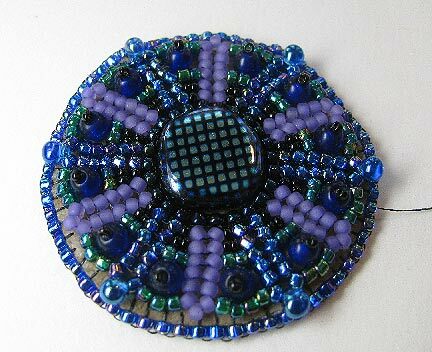 Additionally, at the end of last month I completed my third bead embroidery e-book, this one inspired by this very Bead Journal Project year! 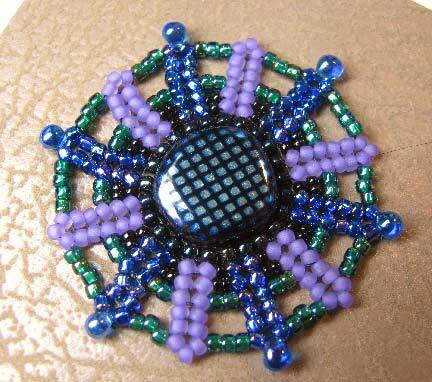 I've called it Bored By Back Stitch, and it focuses on creating bead embroidery motifs from beadweaving stitches. 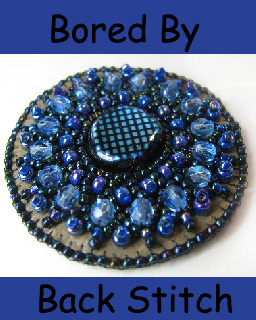 I always enjoy seeing your beading and your latest ebook, Bored by Back Stitch, is really informative...now to get to making something using some of your tips and instructions!!! Robbie, you are so sweet! Thank you so much. Believe me, I can't wait to see what different things people end up doing with these new ideas! What a lovely way to work with Herringbone Stitch! You combined beauty and accuracy.